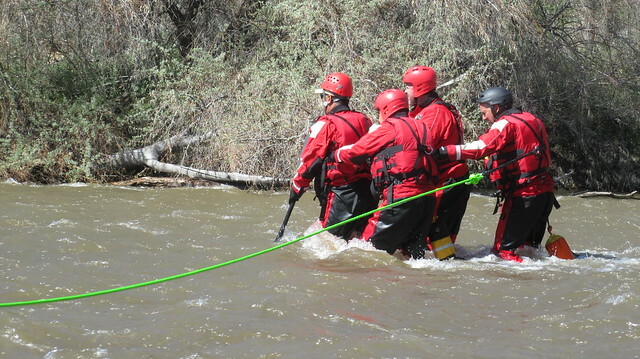 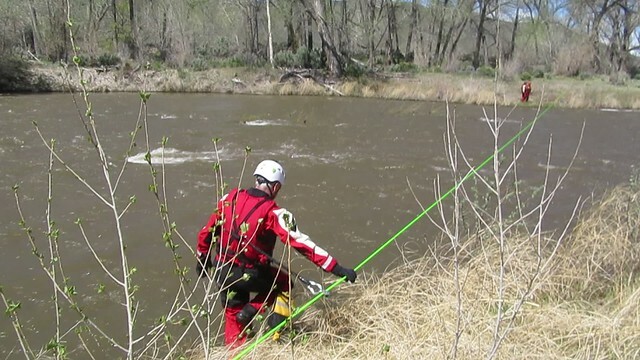 At the and of April, Carson City SAR got down to the Carson River for Swift Water Rescue training. 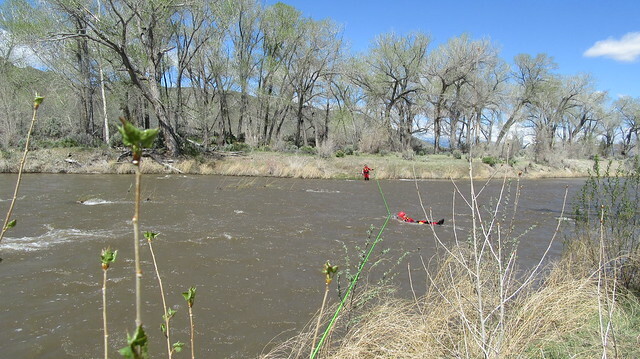 Thanks to a good snow year, we actually had some swift water to train in, the river running at a very full 900 cubic feet per second on the day we were there. 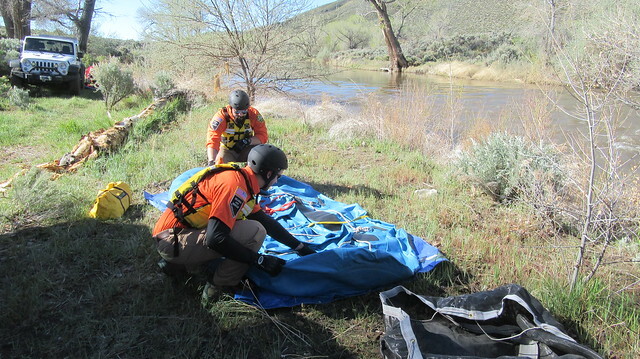 Our “Hot Zone” members, the team that is trained and certified to jump in the water, not only got some good practice, but provided the rest of the team with support training. 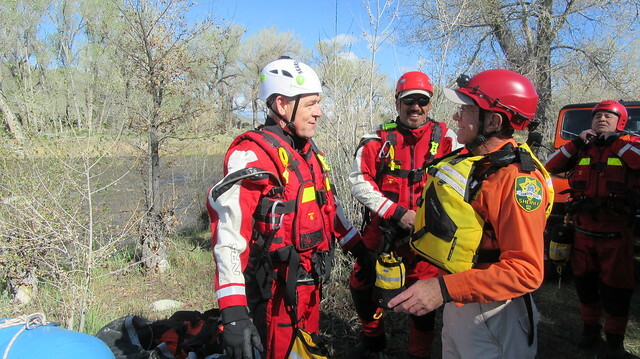 “Warm Zone” and “Cold Zone”, the teams working the shoreline and the area away from the river, respectively, are essential for a successful team-based swift water rescue. 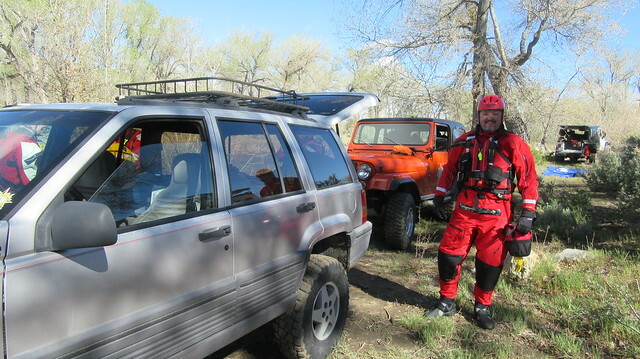 Here’s a look at what we did. 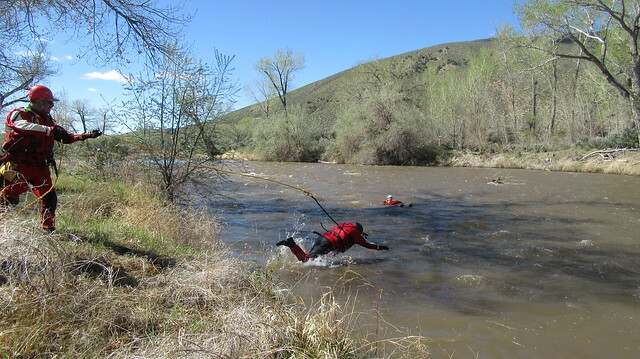 A river flowing at just 6 MPH exerts 67 foot pounds of force on the legs, and 134 foot pounds on the body. 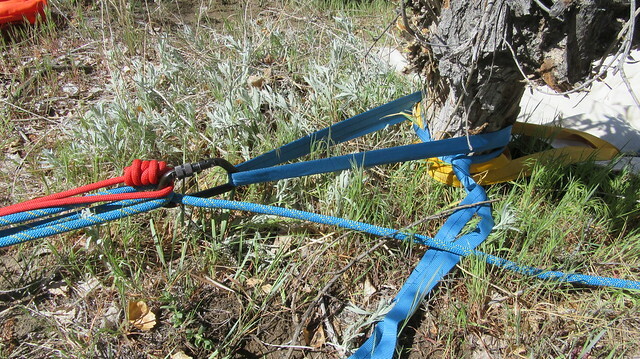 At 9 MPH, these forces increase to 151 and 302 foot pounds! 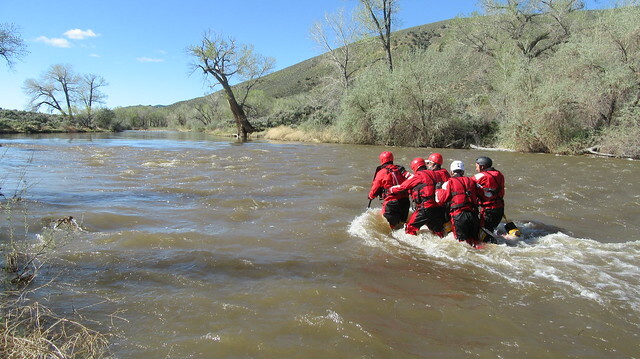 Because of these forces, the Hot Zone team worked on special group techniques to get the team across the river without being swept away. 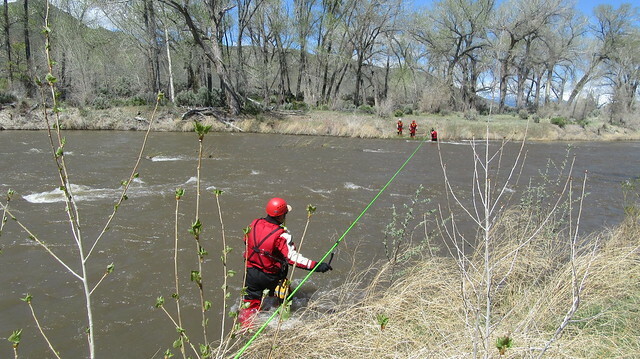 SAR members practiced tossing rope throwbags from the shore. 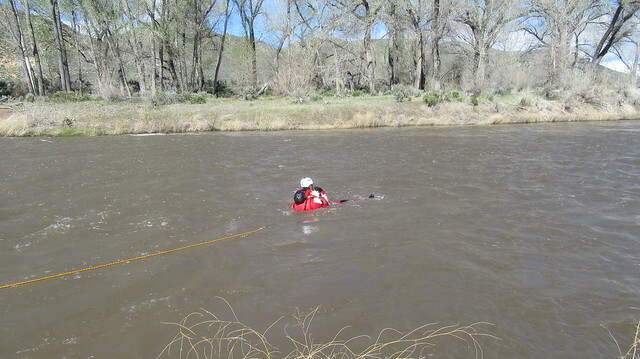 It took some practice to land the rope in the water where a swimmer could reach it before the current took it away. 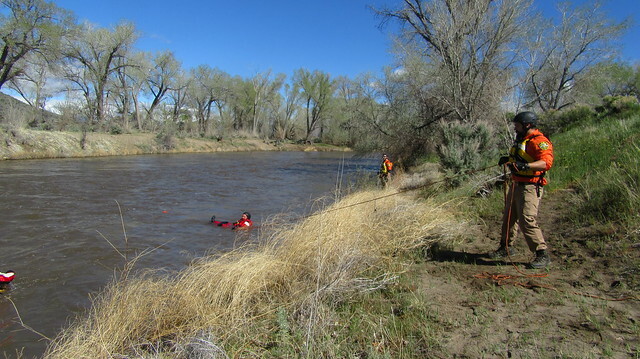 The Hot Zone team took turns diving tethered into the river to swim out to other members floating by. 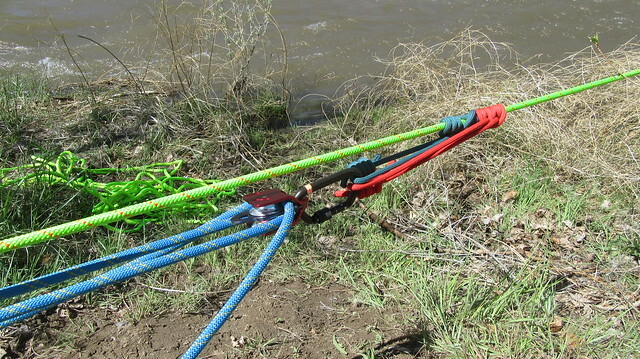 We also trained on the knots and rope systems to support a swift water rescue. 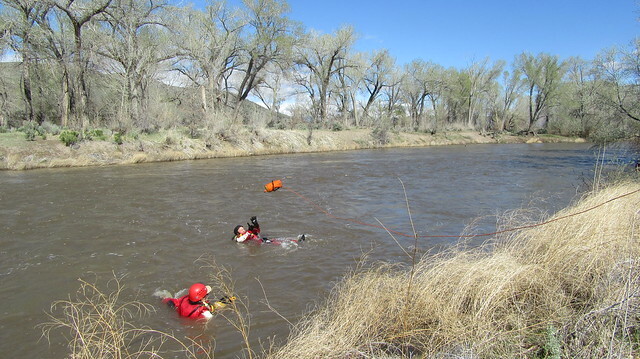 After the rope was in place across the river at a 45 degree angle, we transported team members across the river using the current. 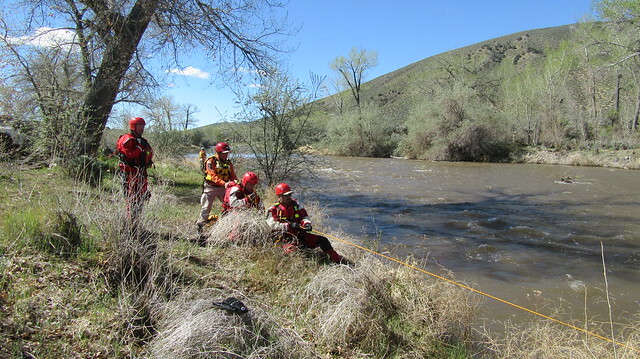 It was fantastic training, helping the team to be more prepared for the continued high flow expected on the river through Spring.